From our years’of experience in Silicon Valley and with technology entrepreneurship around the World, we knew that many of the best and brightest young entrepreneurs abroad dreamed of bringing their ideas to the United States to forge their skills and their new companies. But from our discussions both in California and overseas it is clear that Trumpism is having a profoundly negative effect on this flow of talent into the American economy, both individual technical talent and entrepreneurial teams looking to start companies and raise capital. 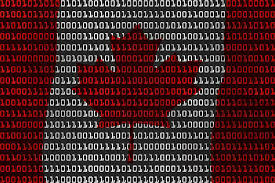 The Canadian government and some of the provinces, particularly British Columbia, Ontario, Quebec, and to some degree the Maritimes, have done a commendable job of promoting high-tech immigration and entrepreneurship. The Global Talent Stream visa is an excellent vehicle as described in The New York Times article included in this post. Global Talent Stream attempts to address the need for technical talent for companies already operating in Canada. The competition for such talent and the salaries offered in the United States are a major problem for Canadian companies, particularly in AI and robotics. Theoretically at least, a Global Talent Stream applicant with an employer lined up can be working in Canada within about two weeks. The so-called “startup visa” program for founders and already established teams wishing to set up in Canada is more complicated. The program requires a committed investment from a “designated” Canadian investor and a letter of endorsement among other requirements before the visa is granted. The difficulties of doing this are something of a Catch-22. In practice in the past, endorsement letters were written by government listed “designated” investors without actual investment, but this still did not result in a wave of high-tech startups coming to Canada. The only other option is for entrepreneurs to bring a significant amount of their own capital with them to Canada. This option has led to abuse. At its original launch under the Harper government, the startup visa program, unfortunately, became a magnet for immigration scams. Hence, the startup visa program remains over-subscribed with applicants bringing their own capital to qualify for the “startup” visa for up to five founders. Finally, There is also simply too little smart Canadian venture capital and too many startups competing for the limited funds. It is also commonly acknowledged that Canada’s investment institutions and the Canadian financial mentality are not well-aligned with the Silicon Valley investment culture. Major U.S. pension funds like the California Public Employees Retirement System (better-known as CalPERS) annually invests 10% of its entire portfolio in venture capital funds. The same cannot be said generally about Canadian pensions funds and investment banks, as one example of the differences. Much lower risk debt capital and convertible debt seem to be more popular products in Canada. In defense, it is often pointed out that the Canadian economy is roughly one-tenth the size of the United States. Yet, on a relative scale, the Canadian venture capital industry still does not compare well. Add to this the fact that the Canadian government has historically been far behind other OECD industrialized nations in R&D investment in innovation and you have major problems. Anecdotally, the sheer amount of money and number of available investors in Silicon Valley alone is well-over 5oo compared with a mere handful in Vancouver. When the more than one thousand local indigenous BC startups actively seeking capital are layered onto the available sources of risk capital in Vancouver, there is major local competition before the immigrant entrepreneurs even arrive in Canada. Looking for risk venture capital in Canada, a la Silicon Valley is problematic. With that candid and sobering analysis of high-tech immigration to Canada, for individuals who have taken the time to do an in-depth analysis of themselves, and the pro’s and con’s of such a major move, Canada may still offer many advantages to entrepreneurs, and those advantages are only likely to improve over time.